In the winter months, although we still don't have snow around here, it's kind of cold and Muffin Rabbit doesn't go outside. But since his summer was so active, I can still show you what he was up to a few months ago. 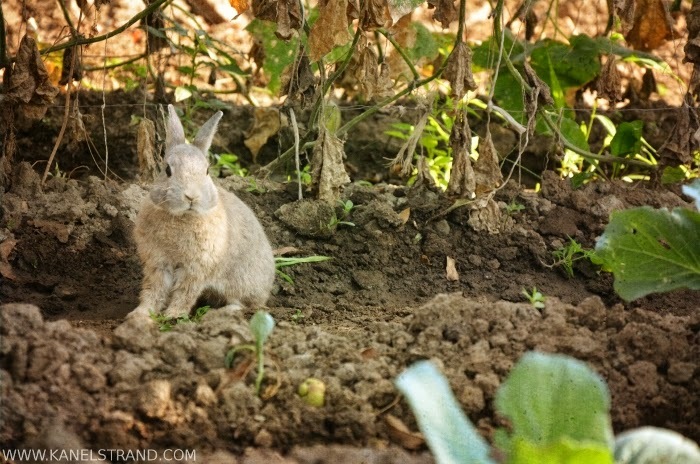 Every day Muffin Rabbit took a stroll along the vegetable beds. Being a town rabbit originally he was used to taking the paths and he never walked through the produce. Here he is monitoring the growth of the cabbage.